In True Quantum Healing, there’s usually a physical component and energetic component to peoples health problems. For e.g. in someone suffering with migraines, there could be a physical component like a buildup of calcium and a energetic component like an entity or a curse. And the two of them need to be removed for the problem to completely go away. This post is to talk about one of these energetic components called entities. They exist in an unseen spirit world around us. It’s a world as we can’t see but is as real as we are. It’s an occult world and the word occult simply means hidden. It’s a spirit world of invisible life, ghosts, djinn, spirits, reptilians and many other entities. Every religion will admit that there’s some sort of spiritual presence on Earth. For example, in Catholicism you have demons and satan and in Islam you have the djinn. According to Jack Barringer in his book Past Shock, over 30,000 texts existed containing information about the presence of alien beings on our planet. These beings or entities have occult powers and knowledge of occult processes that make them so strong and effective against us. It’s difficult for these entities to materialize in physical form before us for an extended period of time. But, they can influence human behavior and effect us physically, mentally, emotionally and spiritually. 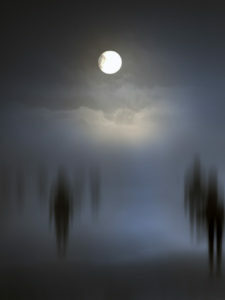 Some people may find it difficult to understand the presence of these entities effecting our lives. They may not believe it just because they were not taught it in school or seen it on the news. People are taught not to believe in the unseen – hence the phrase you have to see it to believe it. However, many people enjoy watching T.V shows such as Stargate Atlantis or Star Trek, but can’t wrap their mind around the presence of entities effecting our lives. This is called the suspension of disbelief – people will enjoy it as entertainment but not as part of their reality. You may be wondering how these entities can effect you. Well, they can effect all aspects of peoples lives, whether it is mentally, emotionally physically or spiritually. They play a big part in depression, suicidal thoughts, anxiety, lack of energy, stress and anger. They can create physical pain or disease in the area they are stuck and play a big part in physical problems that just won’t go away. They can also create obstacles in your path to success. In an ideal world, we would each be able to deal with these energies ourselves. If you have done the ‘great work’ and live an authentic life and have a certain level of high vibration, then this is possible. But, until then, there’s people like me who have the tools to remove them and heal the entry point. Universal Law says that if you identify an entity for example and ask it to leave then it has to leave. We can do this with True Quantum Healing. Is there something bothering your health of life? Contact me if you would like to discuss this further and learn how True Quantum Healing can help you.